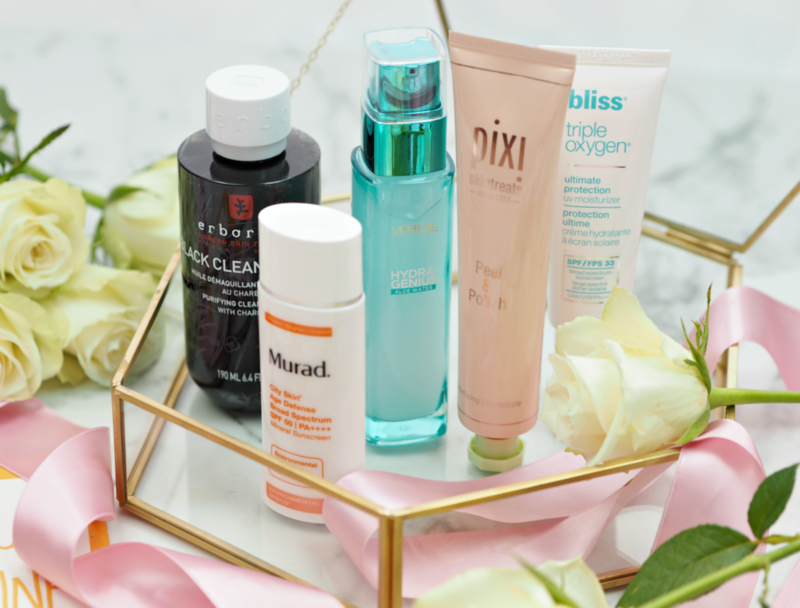 Hayley AKA London Beauty Queen is back again to talk all things anti-ageing and the essential ingredients you should be looking for when shopping around for skincare. Skincare innovations have a tendency to hit stores quicker than a new Instagram update, but that doesn’t necessarily mean they’re always to be believed. We may be able to run off a list of ingredients we *should* be looking for in our skincare as we age, but when it comes to fully understanding the purpose of an individual ingredient many of us struggle. With so many complex names, odd looking descriptions and scientific explanations on the front of our skincare products, it’s hard to navigate this over-saturated skincare space – so what are the main ingredients you should be looking for in your anti-ageing products? Retinol works by prompting surface skin cells to turn over and die rapidly, making way for new cell growth underneath; it does its work by stimulating cellular turnover from the deeper layers up. (Although Retinol may cause flaking and peeling for some, this shouldn’t be mistaken for exfoliation; flaking is a form of irritation.) Although the common misconception is that Retinol can thin the skin, they actually help to hamper the breakdown of collagen and thicken the deeper layer of skin where wrinkles start. Retinol also functions an antioxidant that can interrupt the free-radical damage process that causes wrinkling and other signs of ageing – meaning it’s not only great to overcome damage, but to prevent it occurring in the first place. For me, this is the number one thing everyone over the age of 30 should be using on a daily basis. When is best to use it? Young skin is smooth and elastic as it contains large amounts of Hyaluronic Acid. It helps keep the skin stay healthy by providing continuous moisture by binding up to 1000 times its weight in water but with age the ability of the skin to produce this vital substance decreases. That’s why it’s been deemed to be the ‘wonder ingredient’ of anti-ageing skincare, as products can essentially inject more into the skin to help it perform in the way it once did. Hyaluronic Acid acts as a ‘space filler’ by binding to water, therefore keeping the skin wrinkle-free and plump; on its own it’s not a moisturiser as such, but it’s an essential tool in the body being able to look after itself effectively. These are your ‘every day’ moisturiser products that you should integrate into your morning regime. Any great moisturiser should contain them! These precious lipids form up to 50% of the skin’s moisture barrier and help to keep our complexions looking youthful; they’re the ‘cement’ that holds your skin cells together, creating a smooth and radiant surface. Inevitably the level of these Ceramides significantly drops as we age; although historically it was thought this didn’t happen until the later years, increasing research has shown the decline in quantity starts from when we hit thirty. (You will have lost about 40% of your skin’s ceramides by your 30s and more than 60% by your 40s. Ouch.) This decrease in essential lipids causes skin to appear dry, dull and can result in wrinkles, unevenness and loss of firmness – all the signs we try so hard to counteract. These are usually within serums or capsules you can use before your daily moisturiser, or before your usual night cream. They’re an additional step in your regime! Alpha Hydroxy Acids are molecules found in fruit and milk that can be used to dissolve dead skin cells and reveal the newer cells underneath. Facial scrubs can be used to exfoliate manually with small kernels or granules, but AHAs have the ability to penetrate the skin and get between the bonds of old and new cells more effectively. They cheekily dissolve the bonds and allow the dead skin to be subtly washed away, revealing the radiant skin beneath. More commonly known as Glycolic or Lactic Acid, AHAs can now be found in everything from moisturisers to cleansers. These can be exceptionally effective and remove the need for intensive scrubs, which can be abrasive and irritating. However, the downside is that your skin will be more sensitive to the sun and other free-radicals for up to a week: extra SPF is therefore a must. Depending upon the potency, these can be used roughly three times a week. Make sure you read the instructions properly and don’t overuse as it can potentially cause damage and irritation. Will you be looking out for these ingredients the next time you’re shopping for skincare?